The ‘hangry’ phenomenon is real. An amalgam of hungry and angry, this term is used to describe that feeling when you are so hungry that your lack of food causes you to become bad-tempered or irritable. And it just gets worse when you have to wait an hour for your meal to be served. You flag your hands to catch the attention of the waitress to ask on the status of your food, but she’s too busy to even notice. Tim Wekezer and Andras Bokros have encountered a similar bad experience a few years back – they had to wait almost an hour for the restaurant staff to even take their order. Bearing this pain point in mind, the 31-year-old duo realised that there is an untapped opportunity for them to create something meaningful. “We looked around at the existing solutions that were addressing the issue, and found only tablet e-menus. However, we felt that these tablets were very limited in function because it only allowed customers to place orders,” lamented Tim. On top of that, Tim shared that this solution is “very expensive” – outfitting an entire restaurant with these tablets could easily set the restaurant back $40,000. From there, the two decided to conceptualise a solution that is 100% app-based, so “users can take their dining experience into their own hands”. 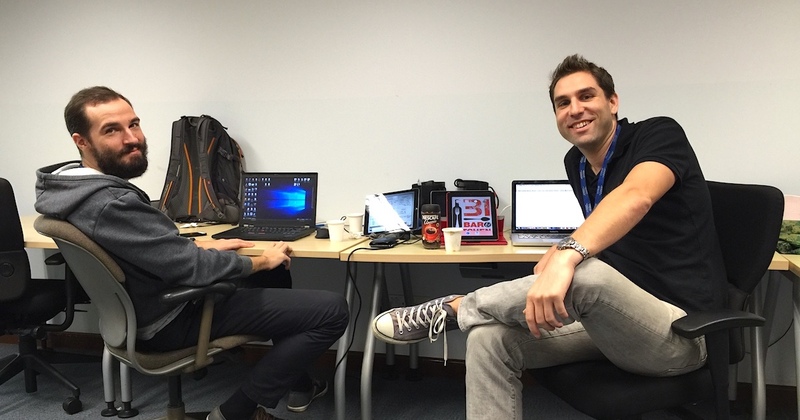 In 2015, Tim and Andras, who knew each other through the school’s MBA programme, took part in the INSEAD Venture Competition. They had to pitch their business plan to a panel of judges and mentors, and their app idea of solving the unnecessary waiting time in restaurants was very well-received. They eventually emerged as the first place winner of the competition and bagged the prize money of €10,000 (~S$15,000), which they channeled towards funding the development of the first prototype of the Waitrr app. “We deployed this prototype for beta testing, and received positive responses from both users and partner restaurants. We also received investments from our friends, families, and classmates, which allowed us to advance the app,” said Tim. Since the app launch, Waitrr has been experiencing “consistent and promising growth month-on-month”, in terms of both revenue and adoption rate, shared Tim. But he was humble enough to admit that their app is still far from perfect. As such, they are continually updating it based on user feedbacks. Currently, the team is working on overhauling the app’s user interface, which will be released very soon. 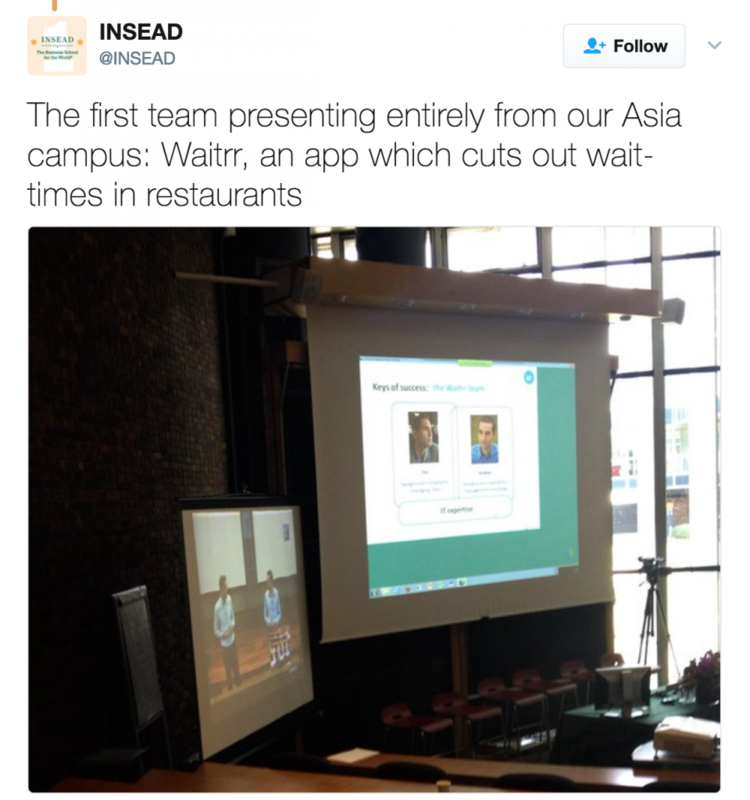 Waitrr aims to provide a seamless dining experience for its users, allowing them to order and pay for their meals quickly and easily through the app. “Often times, especially during the lunch hour in the CBD, many restaurants are understaffed and not well-equipped to effectively cater to all their customers,” said Tim. Tim emphasised that the app does not only benefit the customers; it also serves to optimise the restaurant’s operational efficiency by automating most of their ordering process. “All the orders that go through Waitrr will be sent directly to the kitchen. The staff only needs to prepare and serve the food, thus saving them a lot of time and allowing them to better focus on customer service,” he added. In the first few months of their operations, Tim also noted that many restaurants were missing out on potential customers who want to order takeaway from the restaurant. Since the staff are generally too busy to pick up the phone, these customers end up taking their business elsewhere. To resolve this, Waitrr developed a new Takeaway function that allows the restaurant to capture these potential customers. This function allows customers to order their food through the app and select a pick-up time. Similar to dine-in orders, takeaway orders are also sent directly to the kitchen, where the cooks will prepare the food for customers to collect at their selected timings. When asked about their key business challenge, Tim said that raising brand awareness was a tough obstacle for the startup to overcome. Currently, Waitrr has partnered with 25 restaurants, including Folks Collective, Five Tapas Bar, I am…, and The Wine Company. Many more partnerships are in the pipeline. “Right now, we’re focusing our efforts on the CBD area. 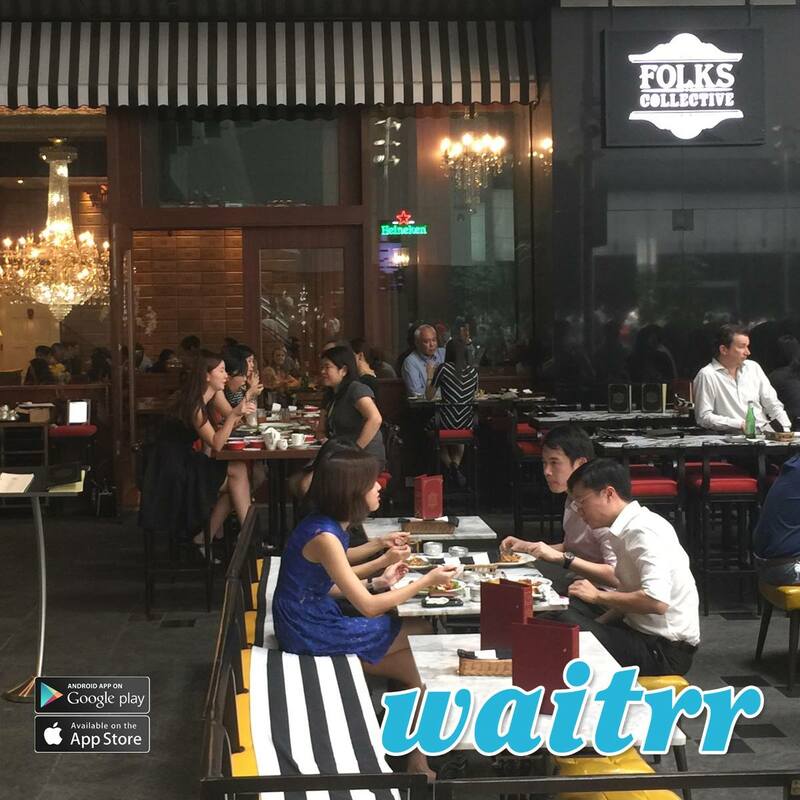 The hectic lifestyles and highly-constrained lunch hours of the people working in this area, as well as its high concentration of F&B outlets, makes it the perfect place for Waitrr,” said Tim. He also reasoned that the expansion of partnerships with CBD restaurants can help to increase the value of the app for users. Tim also hopes that once they have stabilised their operations here in Singapore, Waitrr will expand overseas and make its mark internationally. Ultimately, they want to position themselves as a brand that helps to make lives easier by improving the relationship between restaurants and their customers. Waitrr is a fairly young company (registered only in 2015) but they have seen very promising growth potential over the past year or so. This is very commendable because it’s not easy to sustain a user’s interest in a mobile app, especially with the gamut of apps available. Sharing a piece of advice with fellow entrepreneurs, Tim said that it’s best to just “ignore noise”. This ‘noise’ refers to what looks, sounds, and feels like an urgent problem that requires immediate attention, but it actually only serves as a distraction for your business. “One example is when you see that your competition has created and implemented something that seems really good – the temptation to match them can sometimes be overwhelming. However, unless this ‘something good’ is really harmful to your business, it is often better to believe in and stick to your vision, and focus on perfecting the things that you are working on,” he elaborated. Similarly, in this highly-competitive environment, the pressure to rapidly expand can be very high. As a result, you end up focusing solely on increasing your numbers so your business looks really good on paper. He cited an article by Paul Graham titled ‘Do Things That Don’t Scale’ and asserted that it is very important to constantly touch base with these people because they are the ones who will be integral in helping you fine-tune your product. You can download the free Waitrr app on your mobile devices via the Apple App Store and Google Play Store.